A total of $97,543.50 had been given or pledged to the Albion Veterans Club Memorial Building Fund as of Monday, Sept. 29. The fund had gained $25,236 in cash and pledges since the last report on Aug. 27, 2008. The new total includes $690 raised from an ice cream social held Sunday afternoon, Sept. 28. The new Veterans Club will include a memorial wall in honor of area veterans. 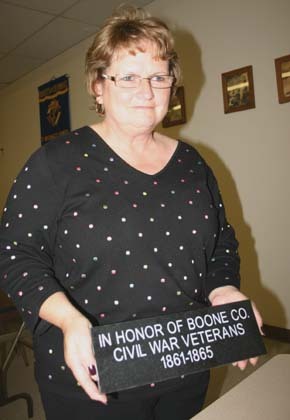 Donors may purchase bricks that will be inscribed with veterans’ names and service records. These are available through the Albion Vets Clulb by calling 402-395-6544, or by contacting any member of the building committee. So far, 272 sponsor bricks have been purchased, raising $27,100 toward the new building construction cost.